If you run a small business, you need to know about business insurance. Basically there are three types of insurance for your business: Property, Liability, and People. Basic property insurance covers your business against unforeseen losses due to fire, lightning, vandalism, and other mishaps. You can also obtain insurance (at additional cost) to cover against less likely events such as earthquakes and floods. Property policies essentially fall into two groups. One that covers certain losses resulting only from causes that the policy identifies. This type of policy specifies what it does cover. One that covers any type of loss except for those specified in the policy. This type of policy specifies what it does NOT cover. If you have any questions, we are here to help. Give us a call at 240-580-1839. Liability insurance covers your business in case it is sued for something it did do—or didn’t do—that resulted in property damage or injury to an individual. One example is someone who slips and falls on your premises and sues your business for the loss of income (and possibly medical problems). Liability insurance covers the cost of damages up to policy limits awarded to the injured party, as well as the costs associated defending the lawsuit. Some companies offer this in addition to policy limits, others include defense costs within limits. Many insurance companies offer broad coverage in a single policy by combining property and liability insurance coverage into a business owner’s policy. But that may not offer adequate liability limits for your business. Claims for nonperformance of a contract are covered by professional liability for your work. While “errors and omissions” insurance provides coverage for mistakes and oversights that fall under professional duties. Wrongful termination of employees, sexual harassment, and race- or gender-based lawsuits are usually covered by employment practices liability insurance. For a professional consultation, we are here to help. Give us a call at 240-580-1839. Health insurance is not mandatory at the present time, but that is changing in the near future. It can be used to improve employee satisfaction and retention. Workers’ compensation insurance, however, is state-mandated coverage for injuries and illnesses that are job-related, and is required in every state exceptTexas. A workers’ compensation policy may pay medical, disability income, rehabilitation, and death benefits. But what is the definition of “employee” can be a complex issue, and it varies from state to state. 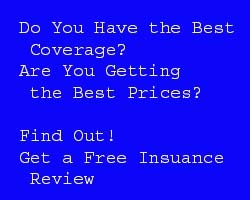 The government and insurance companies often look at this differently. It is important that you and subcontractors be insured correctly. To find out what the definition of employee is for your state, give us a call at 240-580-1839.